Prominent & Leading Manufacturer from Mumbai, we offer red oxide. We are providing Red Oxide. 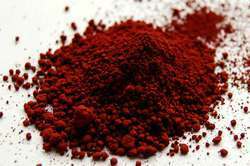 Looking for Red Iron Oxide ?